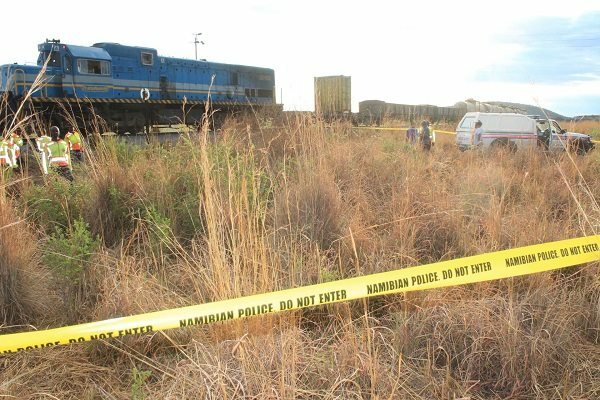 A post mortem examination still has to rule out foul play after the 57-year-old Alfred /Uirab and Alex Muhara (29) were horrifically mutilated when a train on its way from Grootfontein to Otavi drove over them while they were allegedly sleeping on the tracks near Kombat. 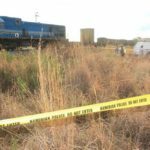 According to the Commissioner Heinrich Tjiveze, Otjozondjupa Police Regional commander the gruesome incident occurred early on Monday morning. He identified the deceased persons as /Uirab and Muhara and said is currently suspected that the men were under the influence of an intoxicating substance when the tragedy occurred. The Regional Commander warned people living near railway lines to stay away from the tracks at all times. According to Commissioner Tjiveze a post-mortem examination still has to be completed to determine the course of the investigation into the matter as foul play has not been ruled out yet.